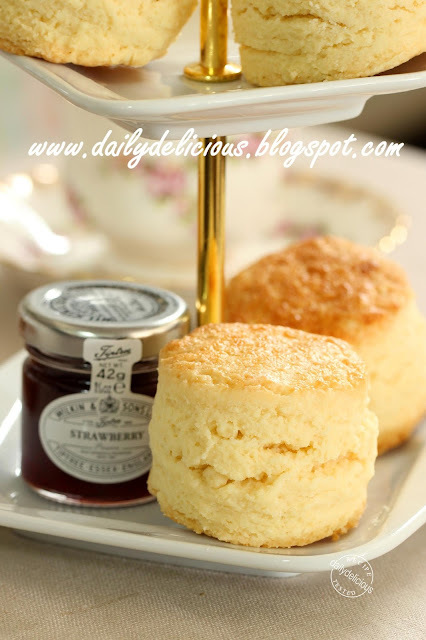 I have a weak point for scone and biscuit, I love both eating them and making them. The different between them is not much, usually the scone is sweeter, some of them use egg as the ingredient or adding dried fruit. The basic ingredients are the same, flour, baking powder and some fat. 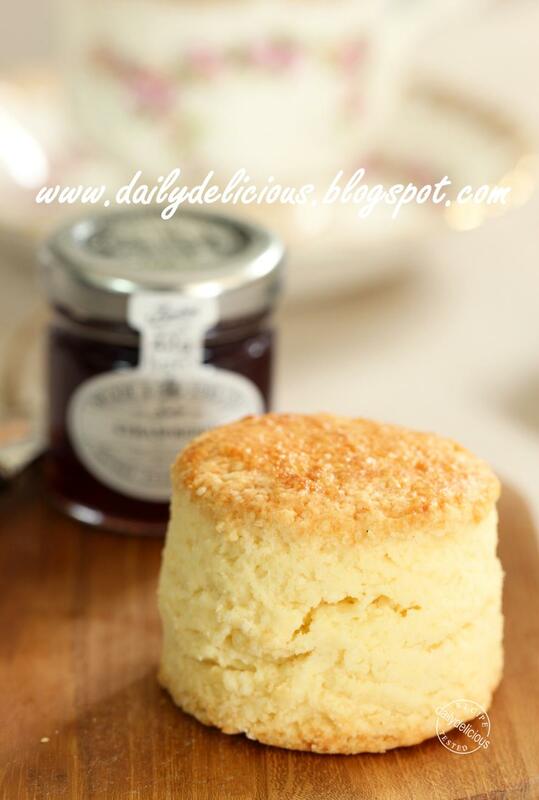 Last time that I met my friend, she took me to a scone shop and I started to wonder about the recipe, the scone in that shop is very rich and sweet, I want to create it at home. But the point is the richness of the fat will weight the dough down, for this problem I solve by using the egg so it will puff the scone up while baking. It turn out that the first batch of testing is still too dry for me, so I add more sugar and cream and Voila here comes my scone ^^. It's hard to make scone with a lot moisture, you will be lured to add more flour to prevent sticking, but please not, it's my intention to keep it moist so you will get rich scone not a dry one. 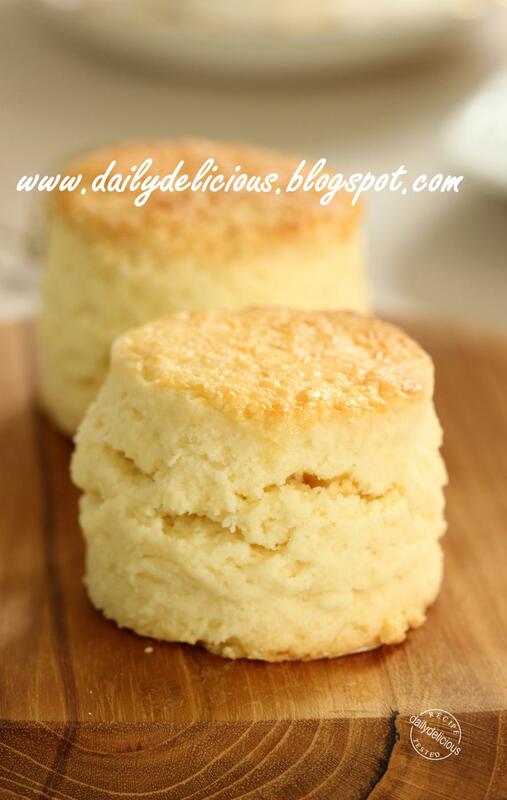 Scone and biscuit usually baked in hot oven, 200°C. up, high temperature makes the dough puff up because the fat melt, water turn into steam both of them leaven while the flour set quickly and you get high rise scone. But high temperature can make the bottom of the scone and biscuit burn too, if you can find there is a pan that made for scone baking, its metal is not good conductor of heat, because of that the bottom of the scone will be golden brown and the shape of the scone will be better. But if you can't find it, line the pan with silicone baking mat can help too. I really recommend you to dip the cutter into the flour before cutting because it will prevent the cutter to stick to the dough. 90g ............................. Unsalted butter, cool and cut into pieces. Preheat the oven for 200°C. Put the flour, sugar, baking powder and salt into a bowl, whisk to combine. Use your finger to mix the butter into the flour mixture until fully mix, the mixture will look like small bread crumbs. Whisk the egg and whipping cream together and pour into the bowl. Cut with 5.5 cm round cookie cutter (rub the cutter with butter and dip it in the flour before cutting). Place on the pan, brush with whipping cream. Bake for 13-16 minutes or until the top is brown . A little question please.... Are you sure it's whipping cream instead of milk? All the other recipes are milk, not sure if it's a translation thing. Thanks! 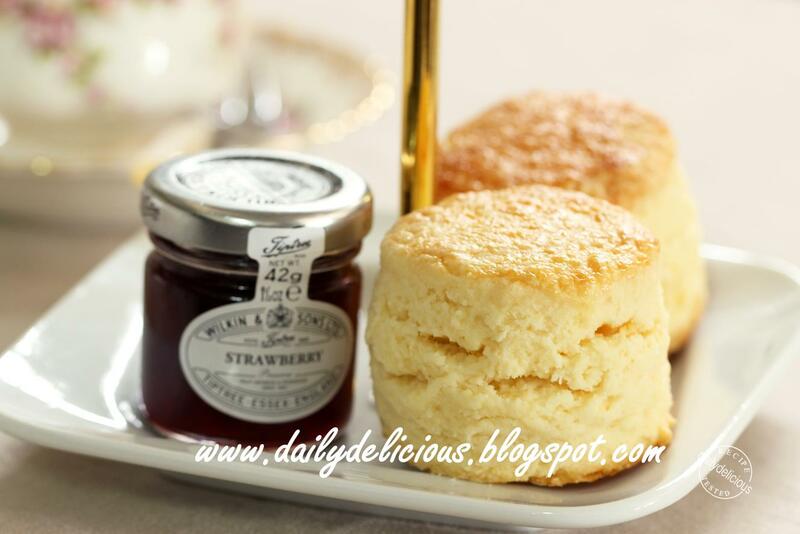 Yes, this one I use whipping cream instead of milk, ^^, it makes the scone richer in taste (and fat). What do you mean by 150g egg+whipping cream? Do you mean one egg plus whatever makes 150g, or an 150g egg & 150g of whipping cream? You will need 1 egg and add whipping cream to get total weight of 150g. I just searching for scones, found your blog. Heard your name often in bakery room. 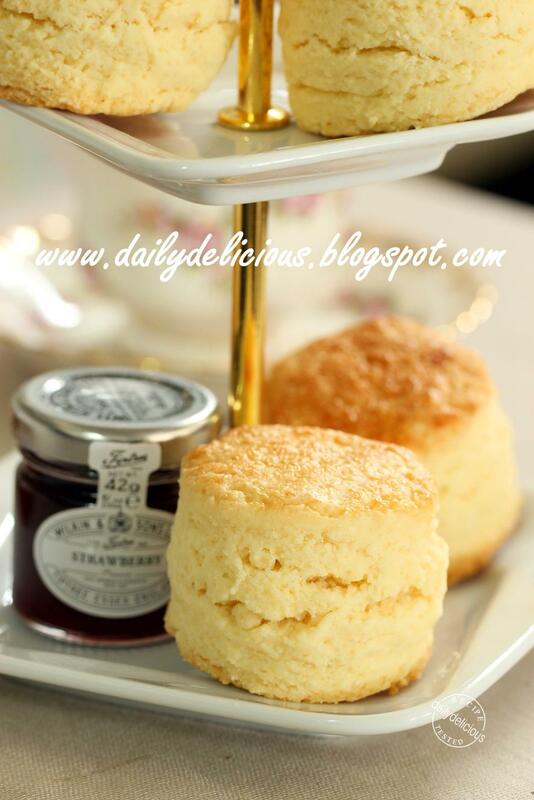 Thanx for all nice recipes, by the way, I love to do scone this weekend. Whats' kind of whipping cream do you use ? Any kind in the bottle ? please let me know. Thanx again. I use dairy whipping cream, you can use the pasteurize or UHT one.